At the beautiful Hilton Anatole hotel just outside of downtown Dallas, this conference promises to be filled with engaging speakers, timely topics and excellent opportunities to mix and mingle with industry leaders. 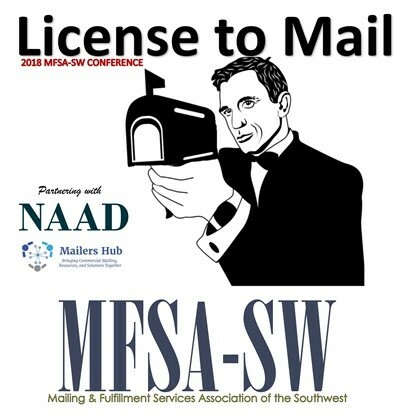 2018 marks the 53rd year that the Mailing & Fulfillment Services Association of the Southwest is gathering to learn, network, and exchange ideas. Register or sponsor today!